Last Saturday afternoon before heading north, I dug into the transmission a little bit more. 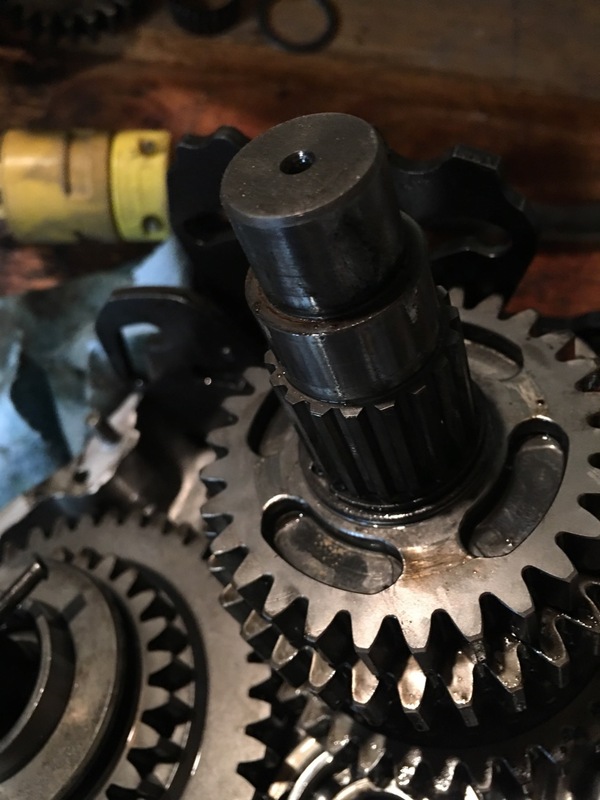 After removing the input shaft, I was able to partially disassemble the output shaft starting from 4th gear. Here are a couple more pictures from inside of the Ural transmission. 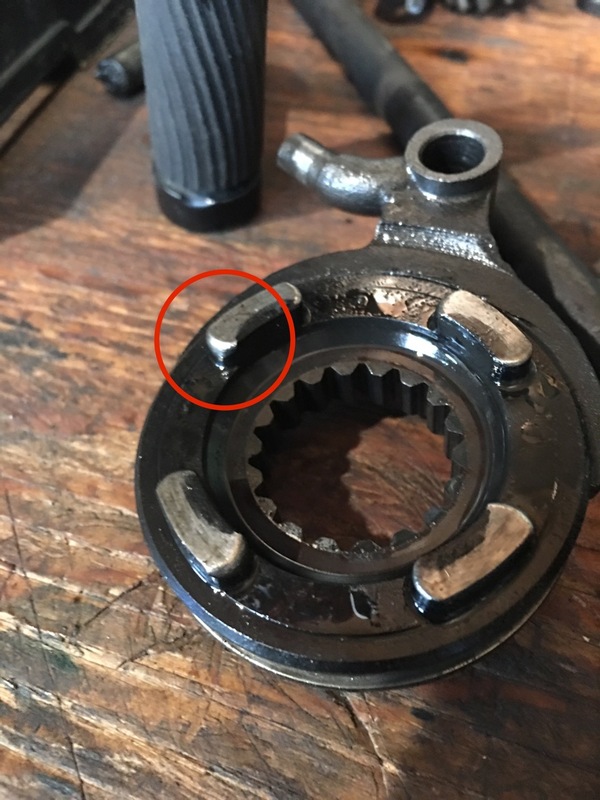 This is 3rd/4th shifting sleeve and you are looking at the 3rd gear side. You can see the rounded corners one of which is circled in red. These mate with reliefs in the gear itself as can be seen below. The shift fork fits into the shifting sleeve and there is noticeable wear and play. The wear is on the side of the sleeve and fork where the sleeve is being pushed into 3rd gear. The sleeve popping in and out of third would put a lot of additional pressure and wear on the sleeve and fork. I'm thinking that 3rd gear itself looks fine with only a small amount of wear but went ahead and ordered a replacement. 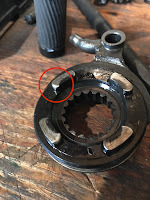 The 1st/2nd shifting sleeve also has a lot of wear on the 2nd gear side but the shifting fork for 1st/2nd is held in position by the shift quadrant a lot better than the 3rd gear position. I'm pretty amazed at how easy the transmission came apart. Good pics, did you use Bill Glaser's teardown guide? No, just jumped in. I figured "how hard can it be?". It took a while to figure out how the shift quadrant worked. Originally, I was thinking about changing the bearings and seals but they seem to be in good shape.